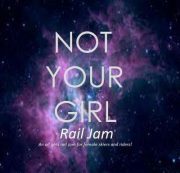 An all-girls rail jam for female skiers and riders! There will be 1st 2nd & 3rd place prizes in every division and a special prize for best trick rider and best trick skier! More Sponsors TBA! Secrets baby, secrets.